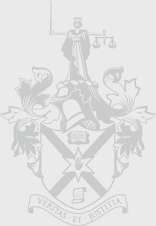 This presentation will examine a range of contentious scenarios within law enforcement, insolvency and debt recovery involving the repossession and seizure of a client’s assets – with reference to assets being realised under the Insolvency (NI) Order 1989 and seized under the Proceeds of Crime Act 2002. Discussion will centre on the wide-ranging powers conferred on the authorities by key legislation and client’s rights and obligations. Maria is a Partner in Napier & Sons and a licensed Insolvency Practitioner. She represents private clients before the Bankruptcy & Companies Master on a daily basis. She obtained her licence as an Insolvency Practitioner as the first and only Solicitor in Northern Ireland to successfully undertake the Joint Insolvency Examination and is therefore, uniquely qualified within the legal sector. With over a decade of experience in this specialised area of practice, Maria is widely recognised for her technical expertise. Aidan leads the Asset Recovery Department for Wilsons Auction Group in the UK and Ireland. He manages the asset realisation process for a wide variety of clients ranging from National Law Enforcement Agencies, Public Sector Organisations, Lending Institutions and Insolvency Practitioners. Wilsons Auctions act for over 40 police forces across the UK & Ireland including HMRC & PSNI.